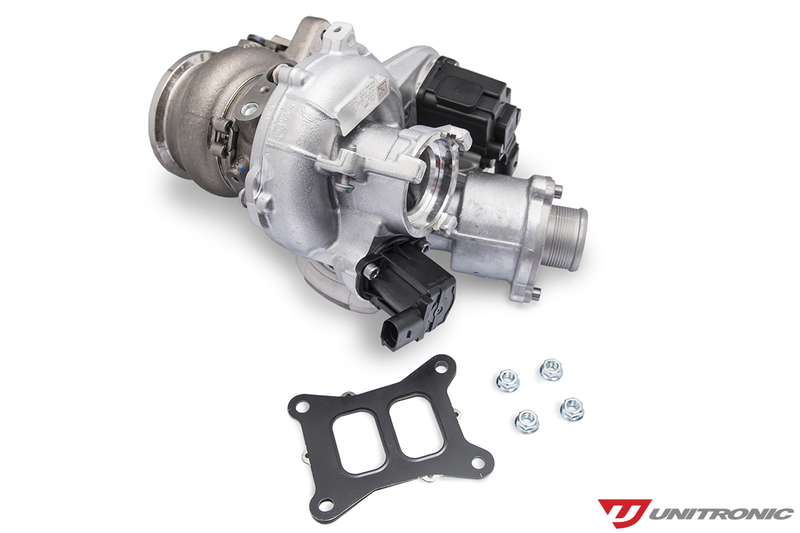 Unitronic is pleased to announce its Turbocharger Upgrade Kit for rear-wheel drive vehicles equipped with the 2.0 TSI Gen3 MQB engine. 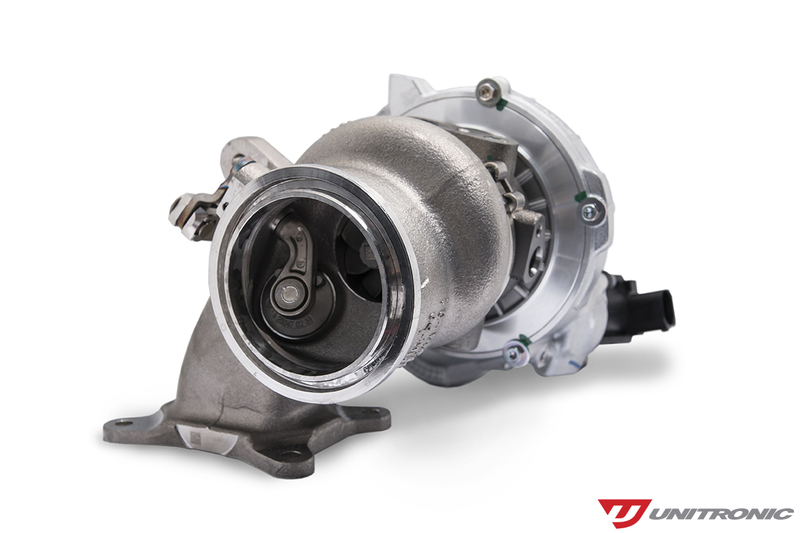 With countless hours of research and development completed utilizing industry-leading calibration tools and equipment, Unitronic has achieved the perfect balance of performance while maintaining complete OEM-like reliability and drivability; boasting a staggering output of 381 HP / 377 LB-FT TQ. All the components comprising Unitronic’s Stage 2+ package are designed to allow for maximum performance without sacrifice. 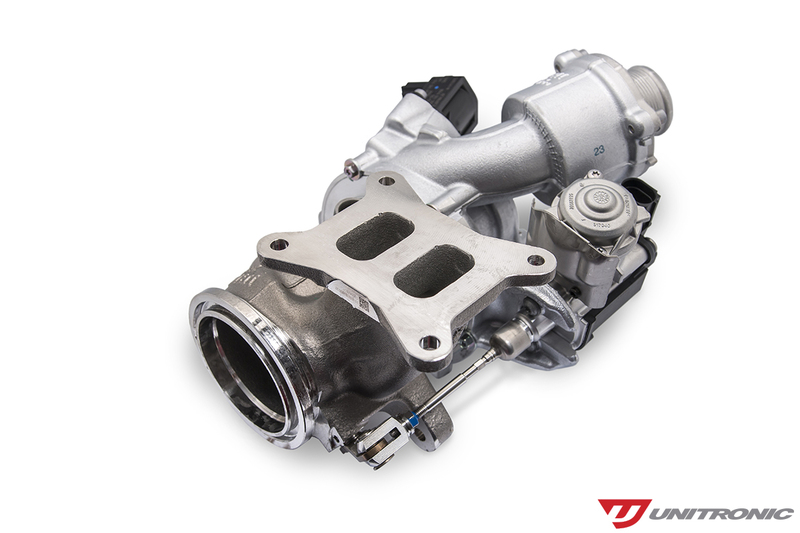 Unitronic’s Carbon Fiber Intake System optimizes airflow into the genuine IHI turbocharger, while its Intercooler Upgrade allows for maintaining a cool, dense charge being ingested by the engine. Unitronic’s 3” T304 Stainless Steel Downpipe allows for maximum exhaust gas flow and features a 200-cell high flow metallic catalytic converter, stainless steel corrugated flex section, v-band connections and fits with either the OEM cat-back exhaust or can be combined with Unitronic’s 3” Cat-Back Exhaust System. 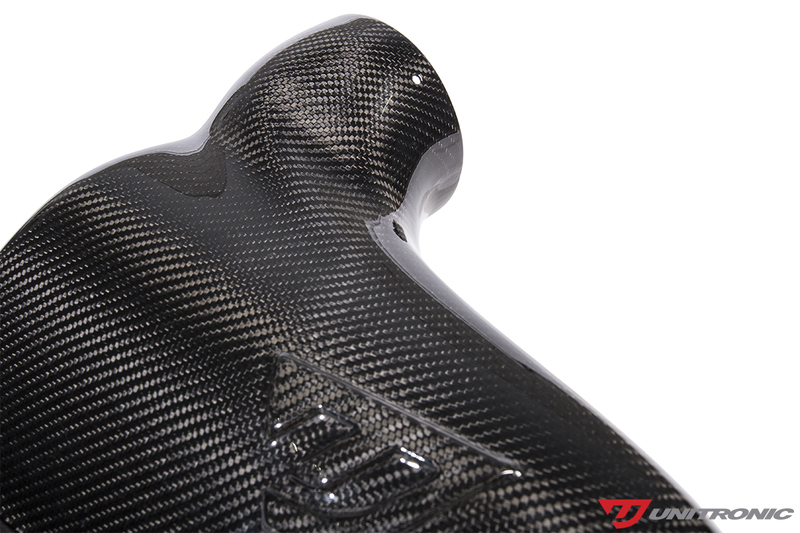 All of Unitronic’s Performance Hardware products are designed using its in-house 3D scanner and modeling software to assure users a perfect and precise fitment. As with all of its Performance Software, Unitronic is committed to delivering its Clients with the utmost reliability and drivability through any/all driving conditions its users may encounter. Utilizing its in-house Superflow Engine Dynamometer and environmentally controlled dyno cell, Unitronic performs a plethora of real-world driving simulations, including extreme hot and cold climates and high sustained speed/prolonged run stress testing to ensure safe operation in virtually all scenarios allowing for the ultimate Performance Software. Complete Upgrade Package, including Unitronic Stage 2+ Performance Software. 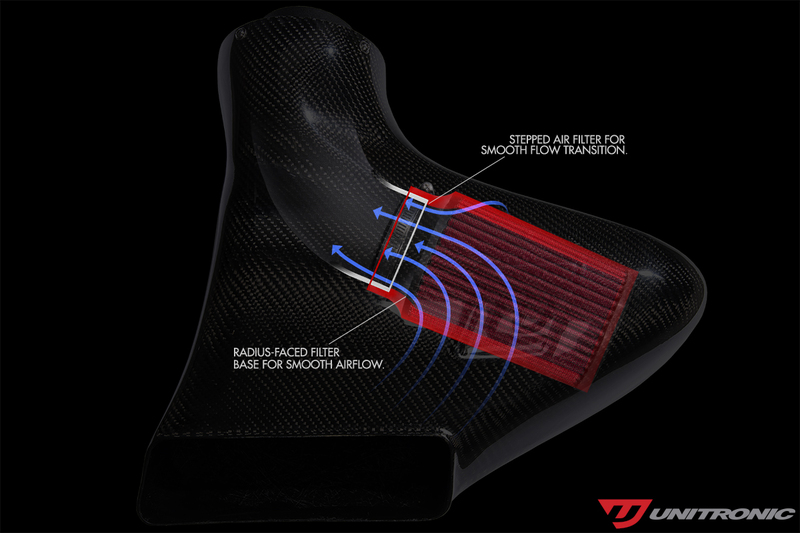 Unitronic Carbon Fiber Intake optimizes airflow into genuine IHI turbocharger. 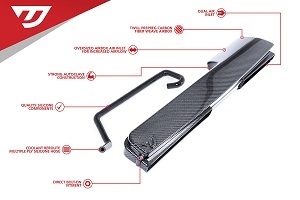 Unitronic Intercooler Upgrade allows for maintaining a cool, dense charge ingested by the engine.